Laura King grew up in a show dog family with Belgian Sheepdogs and Schipperke. Today, she co-breeds English Cockers, Foxhounds and Springer Spaniels. With Robin Novak, Laura King has been in contention for #1 All-Breed several times and tells you from her experiences just what magic it takes to be #1. The more you win, the more rumblings are spoken that might set questions in the minds of the judges. Perhaps you win with lovely compliments under a judge, but the same judge awards another the next time out. There is no sure thing and just when you think you "figured it out", the certainty of a win changes. Timing is everything. It takes planning and practice and pure luck to get it right every time. Scoring a "perfect 10" is not accidental, but the discipline of training the perfect 10 day in and day out. 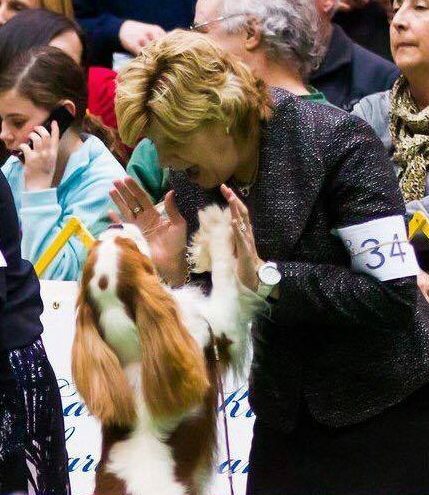 Top Dog show schedule is grueling. 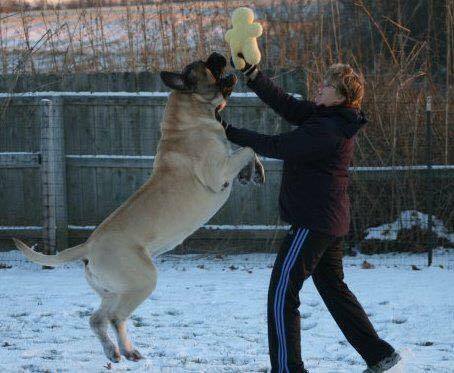 You must have the right dog, with the right temperament, who can give 1000% week after week. As handler and caretaker, you must know what the dog needs and how it's affected. To campaign a top dog is a costly endeavor. Most important is to have clients that are cheerleaders, so on those difficult days, they are supportive of you and the dog. Most handlers have a string of dogs, or their own dogs and business to take care of at home. Support system of home care, training, and showing of young dogs, breeding and whelping, and someone just to pay the bills and handle emergencies is critical. 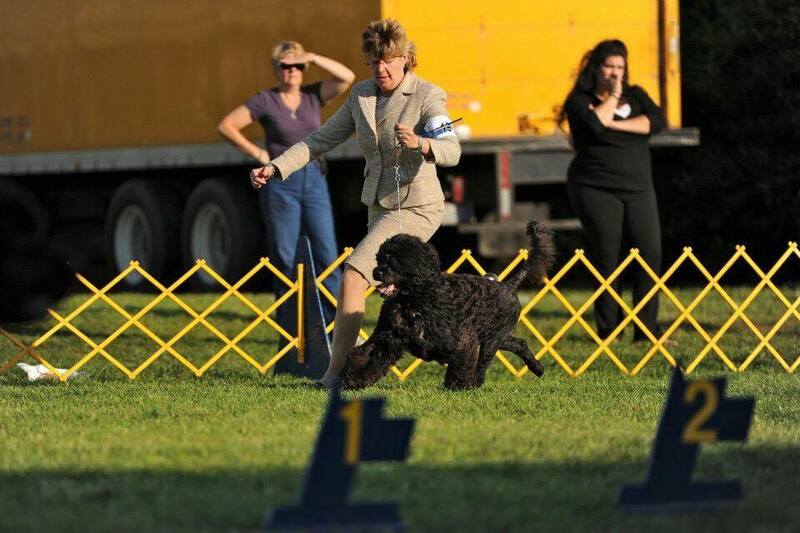 The "sport" or "fancy" has to appreciate and respect the dog and the handler. 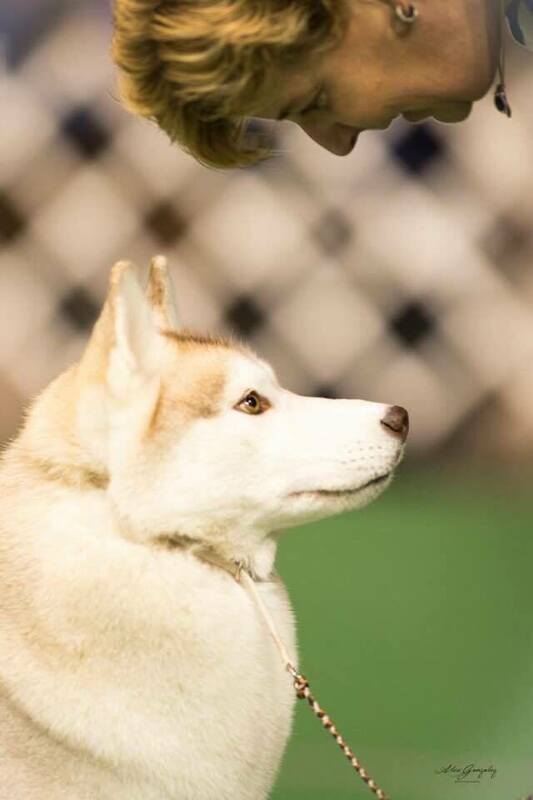 No dog rises to the top without others believing and recognizing the breed quality and being a cheerleader. After all, there are many great dogs just sitting in backyards at #20 in breed rankings. There is more to #1 than just a great dog. One key to Laura King's success is her innate ability to feel and read a dog, and her intuitive comprehension of how to serve the special needs of a particular dog. Knowing whether a dog is difficult or just needs to decompress can look very similar in behavior, but how the handler should react are very different. The muscle tone, ears, eyes, and tail tell much of the dog's needs. Dogs come first. No matter what our dreams or agenda is... dogs come first. Without question, my all-time favorite professional handler! !